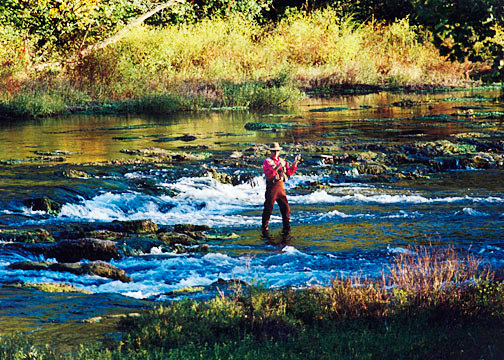 The North Fork River is ranked in the Top 100 trout streams in the United States. 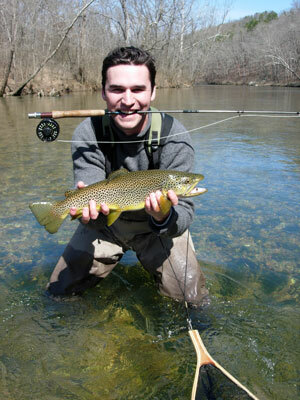 Trout Fishing on the North Fork River is open ALL YEAR with many lodging options available. Choose from one of our secluded Treehouse cabins. Rainbow Springs [AKA Double Springs] dumps an average of 82 million gallons of 56-59 degree water into the North Fork River daily, with a recorded high of 150 million gallons in a day! This effectively doubles the size of the river. 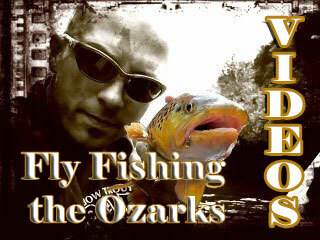 For fly fishing for Missouri trout we offer guide services and float services. For spin fishermen seeking bass and panfish we offer float services. We are located in the heart of the Wild Trout Management Area of the North Fork of the White River, Missouri Ozarks. Included is over one mile, the "miracle mile," of private wade fishing for wild rainbows, the best Missouri has to offer.